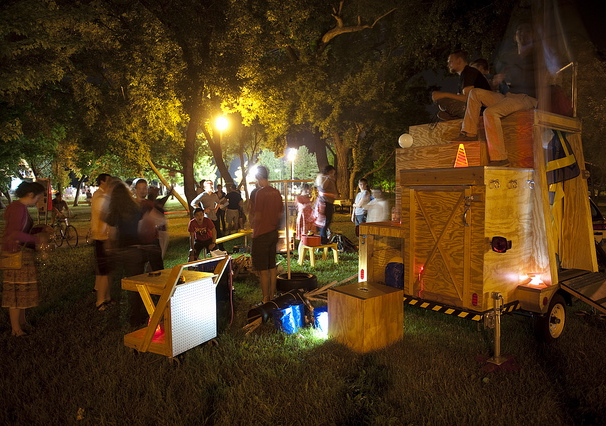 The Mobile Creative Outpost is a nomadic social gathering point that redefines spaces into areas of a creative, self-determined activity. Inspired by the free open-ended play of adventure playgrounds or junk playgrounds, which are more common in much of Europe but are a rarity in the United States, the Creative Outpost doesn’t propose a specific program. Instead, it offers a variety of loose parts, old building materials, tools and open-ended equipment that challenges participants to come up with their own objects, inventions and activities. 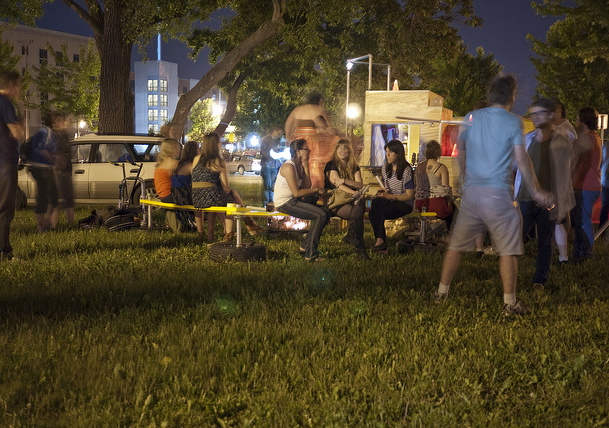 Come create a sculpture, build a shelter, stage a performance, invent a game, start a dance party, play music, or simply hang out around the mobile fire pit and burn stuff. 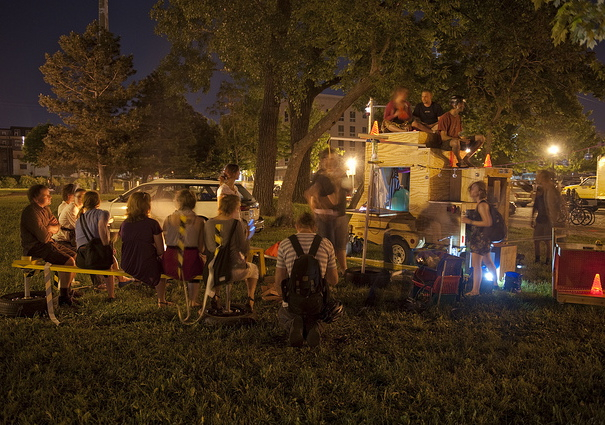 For Northern Spark, The Mobile Creative Outpost will take advantage of the multiple nodes of the festival by utilizing the mobility of the trailer. 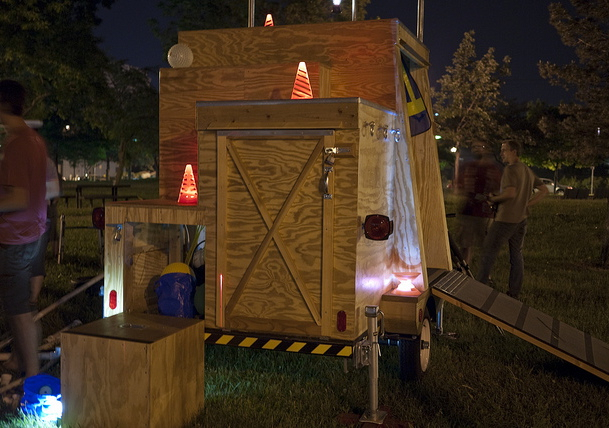 The trailer will move around to four different locations throughout the night and allow the people and the given situation to guide and inform the activity of the Outpost. Ben Garthus is a Minneapolis based artist that makes work that stretches the boundaries of sculpture to include the unexpected discoveries that are possible when human interaction merges with systems, objects and structures. 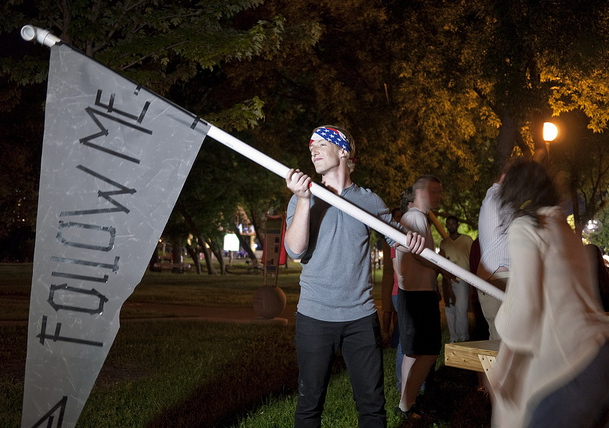 He recently received his MFA from University of Minnesota in the spring 2011. Garthus has shown extensively in the Twin Cities and has begun to exhibit outside of the Midwest. Most Recently he was awarded the International Sculpture Centers outstanding Student Achievement Award in which his work was featured in Sculpture magazine and was part of traveling show that began at Grounds for Sculpture in Hamilton, New Jersey.